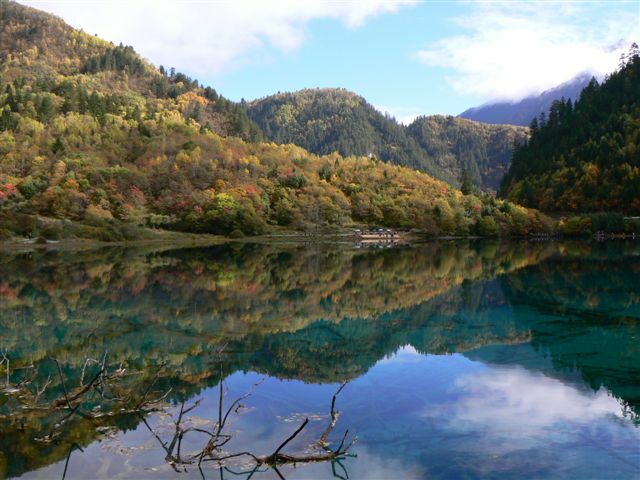 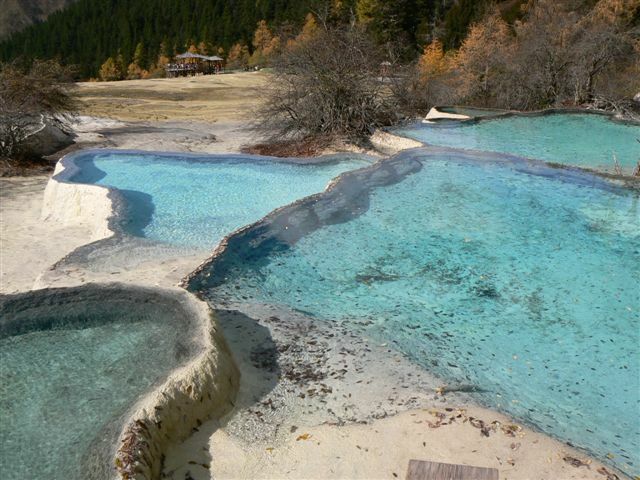 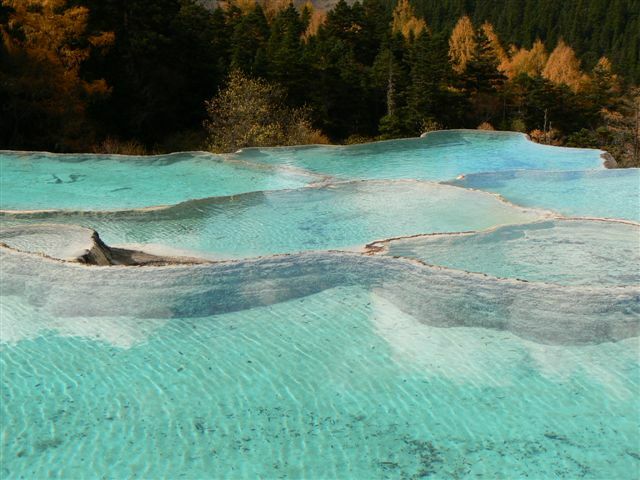 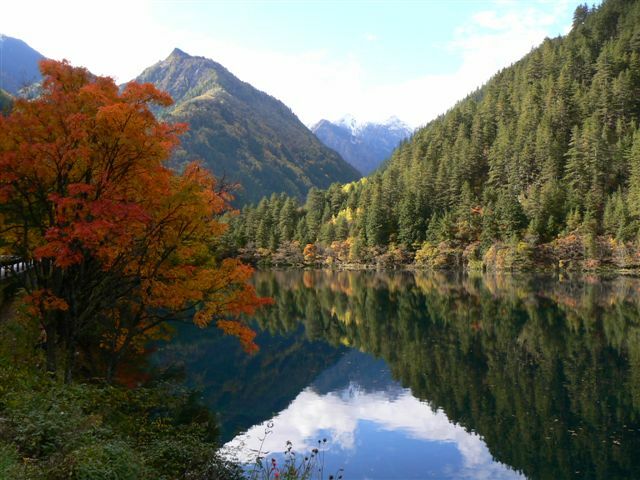 Jiuzhaigou (九寨溝) & Huanglong (黃龍) are two scenic spots in Sichuan (四川), China. 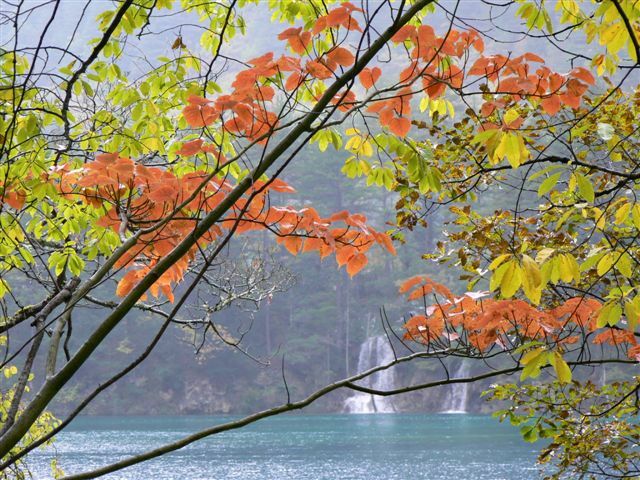 The best season to visit there is late autumn (i.e. 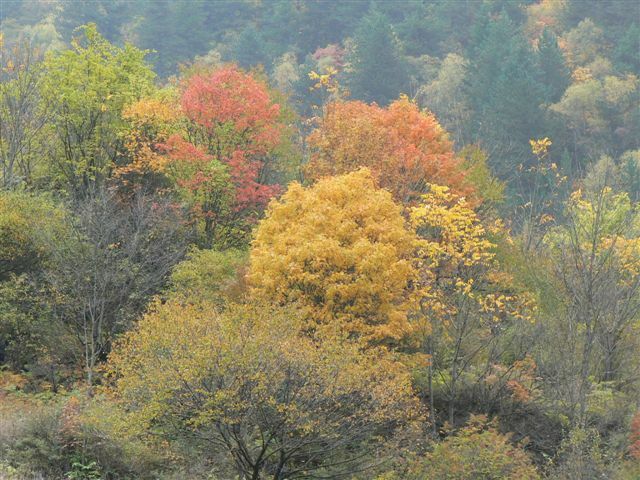 middle to late October), when the leaves change their color. 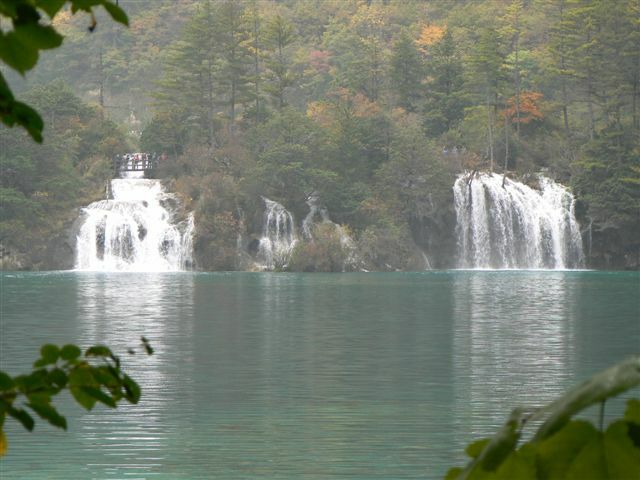 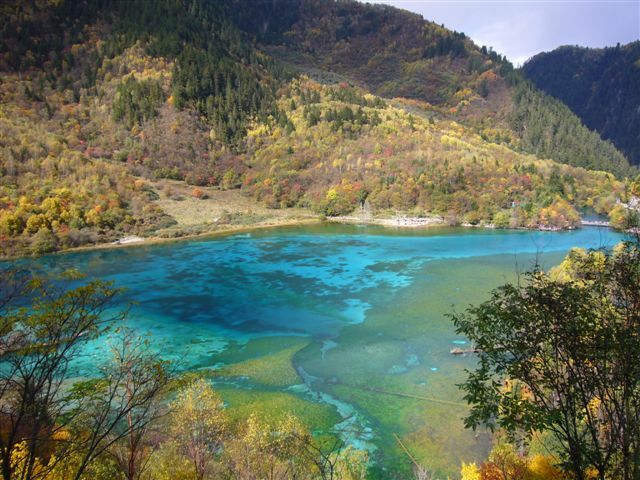 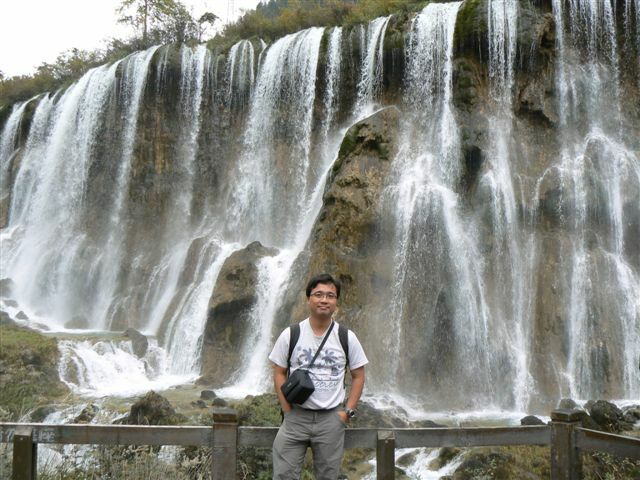 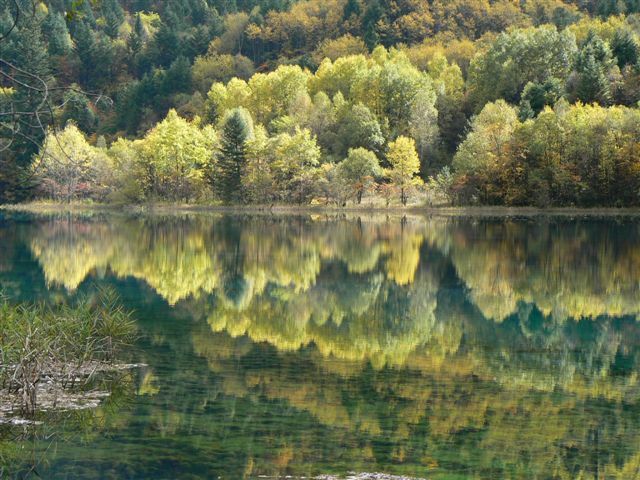 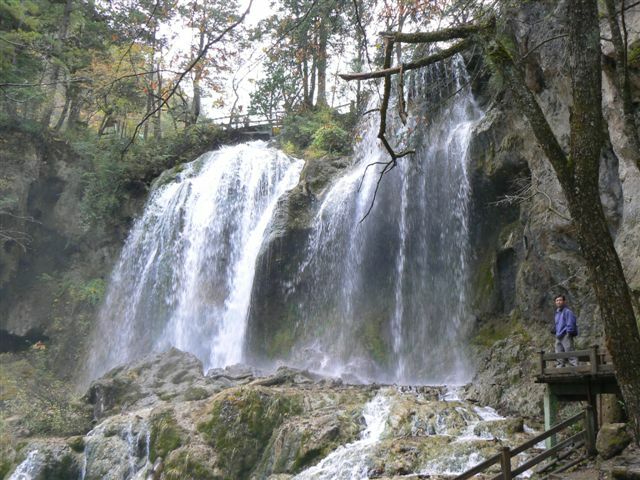 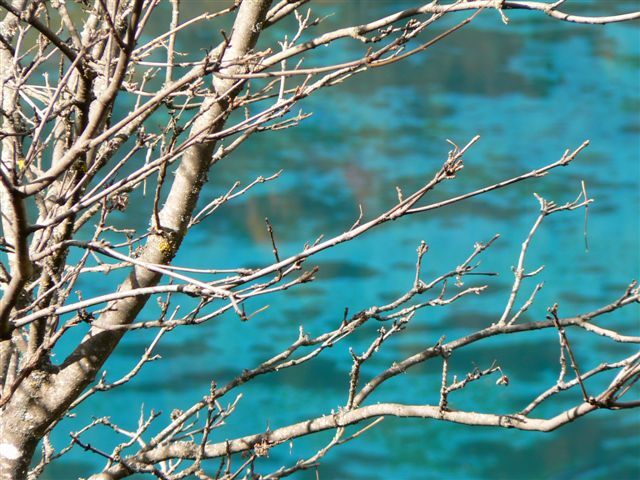 It is advisable to spend at least two full days in Jiuzhaigou and at least a half-day in Huanglong. 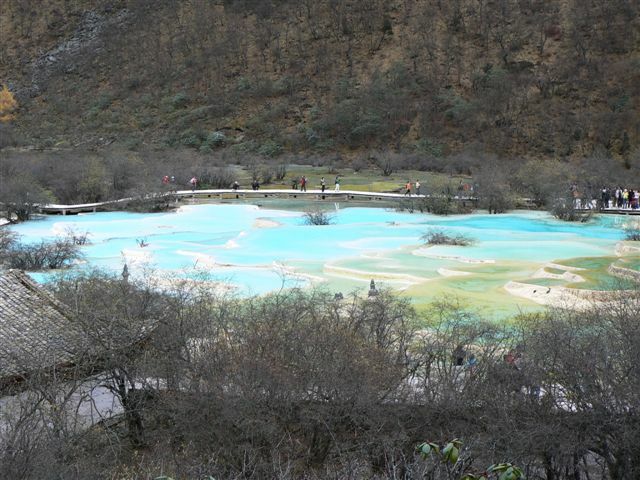 You can buy a package (air ticket + hotel) and go there by yourself. 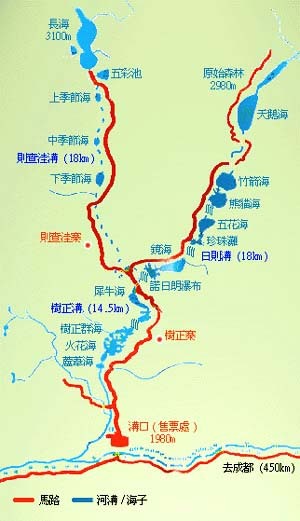 The lower portion of the river is called 樹正溝. 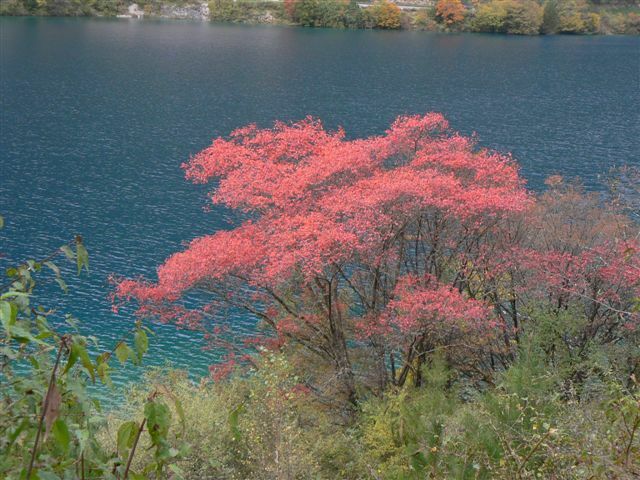 Above that, there are two upper branches(日則溝 and 則查漥溝). 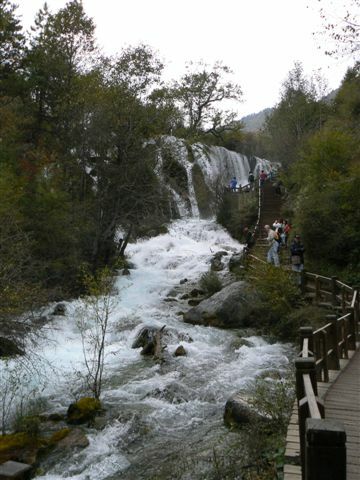 Nowadays, there are well established footpaths and toilets in Jiuzhaigou. 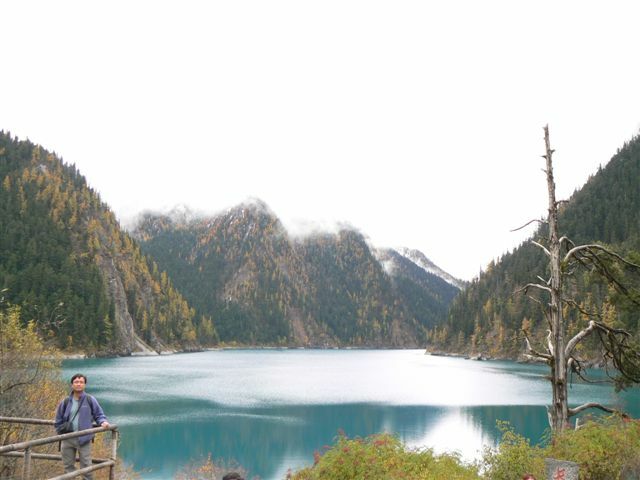 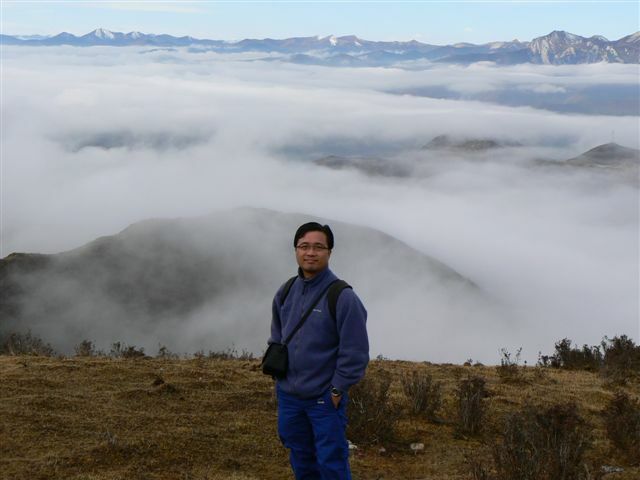 Don't forget to have a rest at the high-altitude highway (altitude ~ 4000m) between Jiuzhaigou and Huanglong. 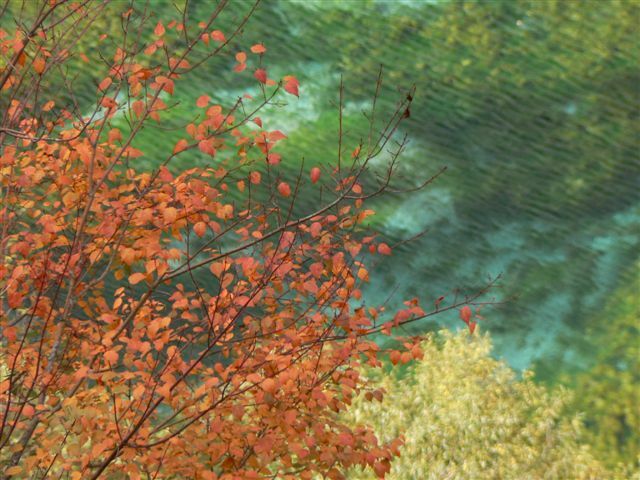 You can get a spectacular view.